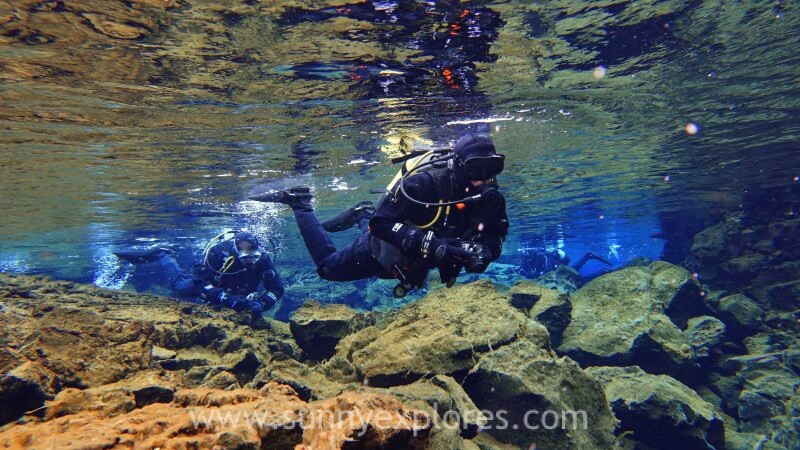 A couple of days ago I did something amazing: diving the Silfra fissure in Iceland. It was such an unique experience that I can hardly find words to describe it. 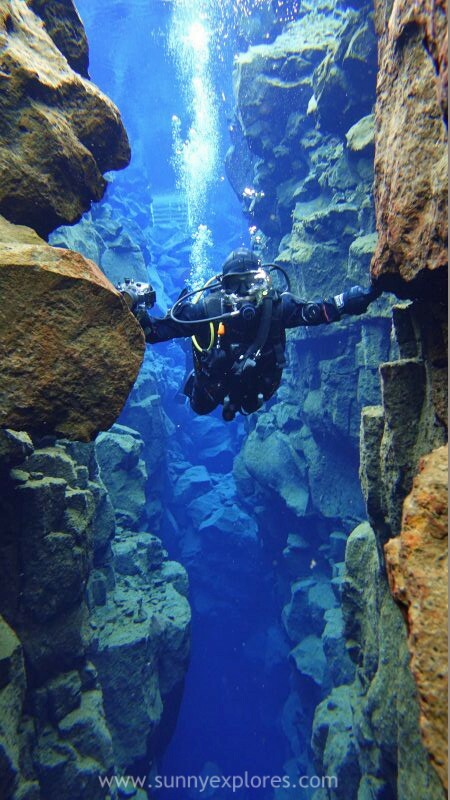 The Silfra fissure in Iceland is the space between the North American and Eurasian continental plates. It’s located in Þingvellir National Park in Iceland. The fissure openened in 1789 during some major earthquakes, followed by the movement of the two tectonic plates. The North American and Eurasian plates, which run all the way through Iceland, separate at about two centimeters per year, and when they do, they tear open fissures in the land between them. The ravines fill with water from the Langjökull glacier about 60 kilometers north. 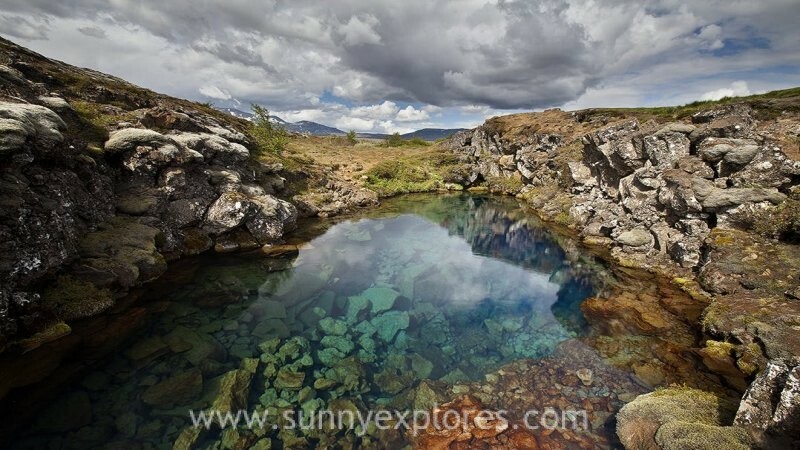 The water travels underground through the porous lava fields in the area, to the Silfra fissure. It can take more than a century for the water to reach Silfra and this long filtration process results in the water being extremely clear, pure and drinkable. Because the water travels underground, it maintains a constant temperature of two to four degrees Celsius. 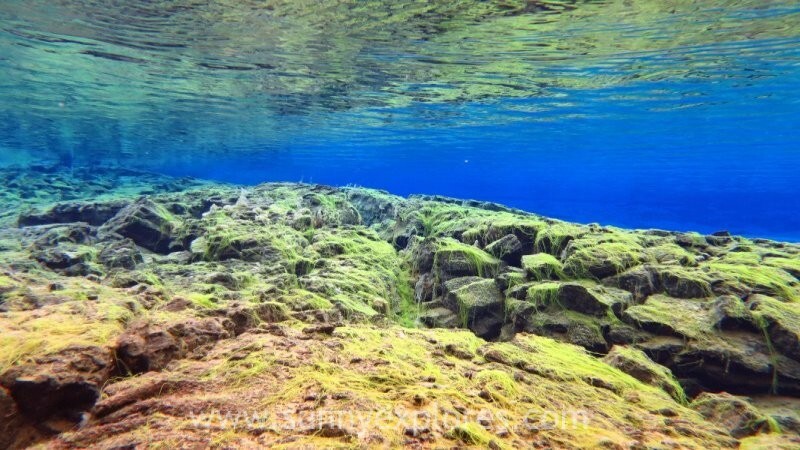 Silfra is a beautiful place. On the surface you can already see a glimpse of the magical realms and depths you are about to enter. The surroundings make the experience even more surreal. Þingvellir is a sacred place, it’s the historical site of the Alpingi or ‘parliamentary building’, where, in 930AD, tribes of Viking clansmen met to form the first democratic institution in history. Using the tectonic plate as a literal sounding board, speakers were able to read aloud unifying laws to thousands of people. The Icelandic parliament existed here until 1884, when it was moved to Reykjavik. 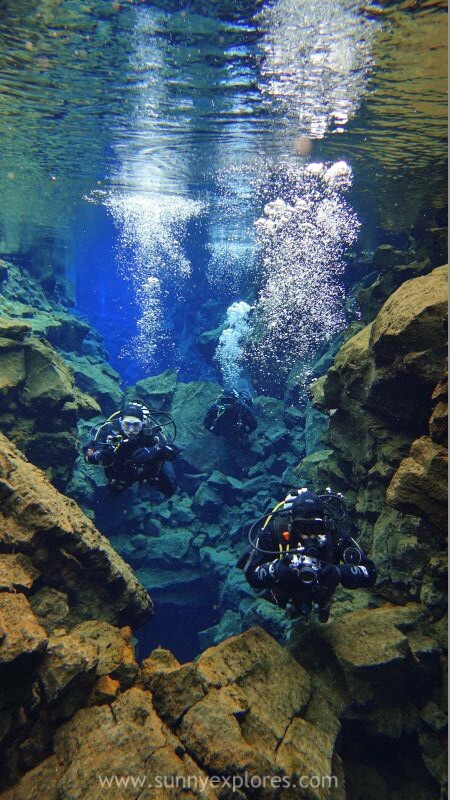 Besides all this beauty, the Silfra fissure is considered to to be one of the top five dive sites in the world. 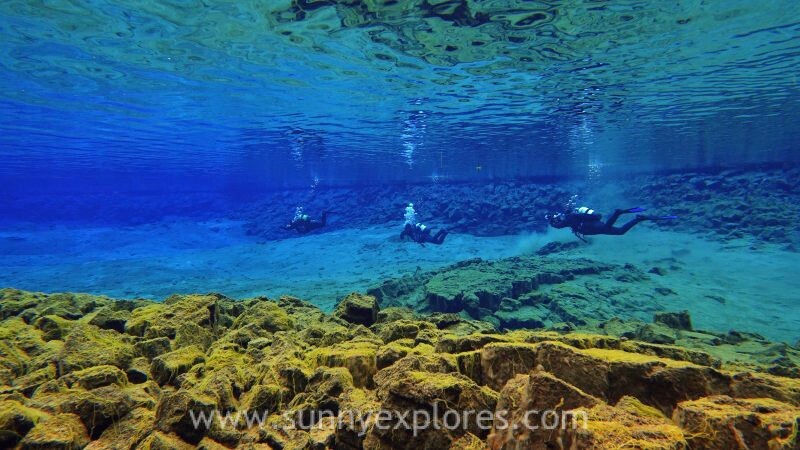 The diving and snorkeling site at Silfra is right where the two continents meet and drift apart about two centimeters per year. 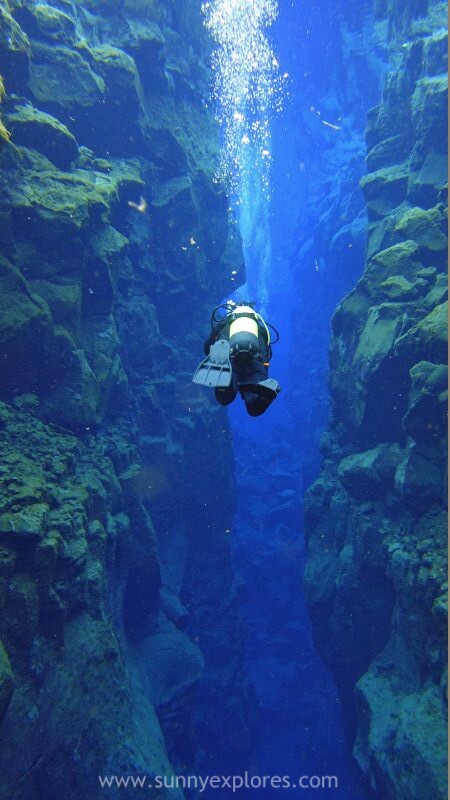 Silfra is the only place in the world where you can dive directly in a crack between two tectonic plates. The water is crystal clear and the underwater visibility can be till as far as the human eye can reach. The water is so clear here because it’s filtered through underground lava for up to 100 years before it fills up the fissure. This iconic dive starts at the Big Crack, the place where the two continents can be touched. You will see Silfra Hall, the widest section of the fissure, untill you reach Silfra Cathedral, the deepest and most spectacular part. The Cathedral is a 100 metres long fissure with visibility almost from end to end. 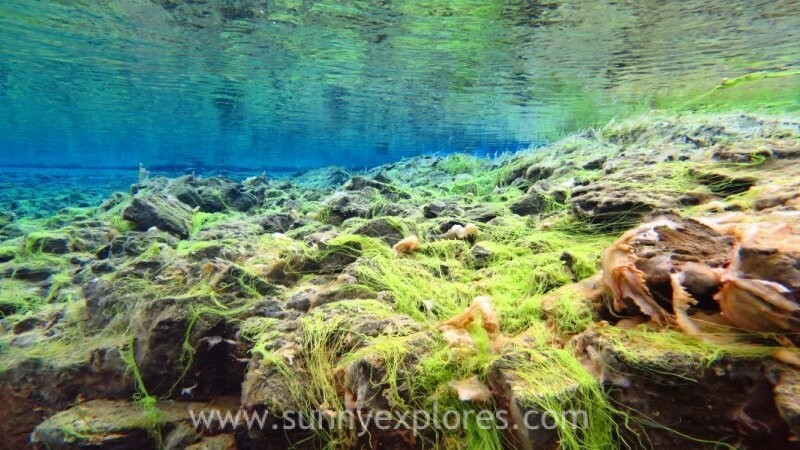 The dive ends in the Silfra Lagoon, covered with green algae, or trolls hair. Looking up the fissure you will see a a glittering surface, caught in a split between two dark plates, a truly breathtaking sight. From here you can see the entire span of the lagoon, about 100 meters. After the first dive, a challenging 400 meters walk in dive gear will bring you back to the entrance where hot chocolate and cookies are waiting. Then it’s time for a second dive and this time you will enjoy the beauty of this magical blue world even more. This second dive, pay attention to the sun-rays refracting through the surface of the water, creating rainbows. And don’t forget to look up to see the sun glistening upon the surface. 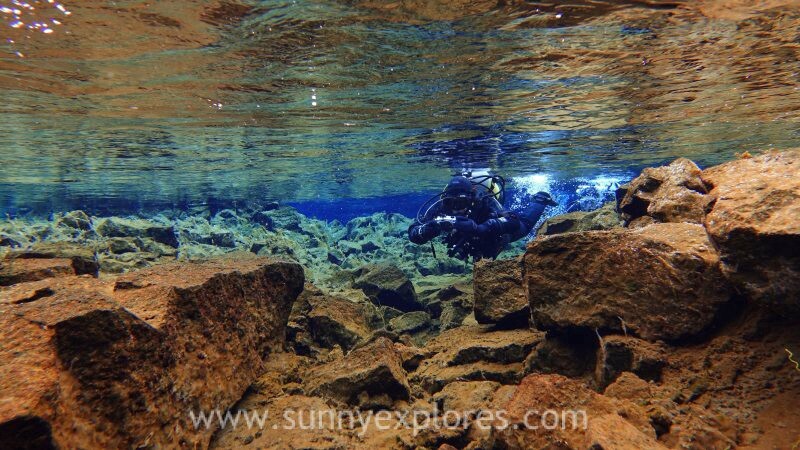 Be aware of what you are up to when you decide to dive in the Silfra fissure. The water is cold and there are no changing facilities. Most of the time it’s cold when you get dressed and geared up. 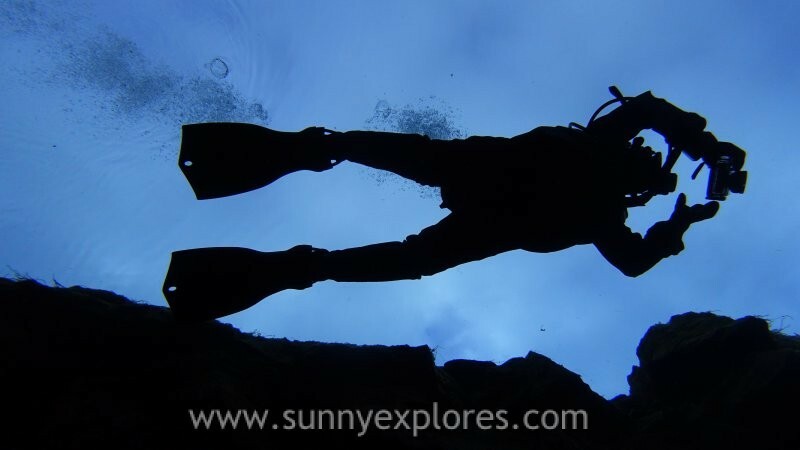 And ofcourse there is the challenging and notrious ‘Silfra-walk’ in dive gear to reach the dive site. It’s essential to be a certified diver. You must also be either dry suit certified or have proof of 10 logged dry suit dives, signed by a diving professional. 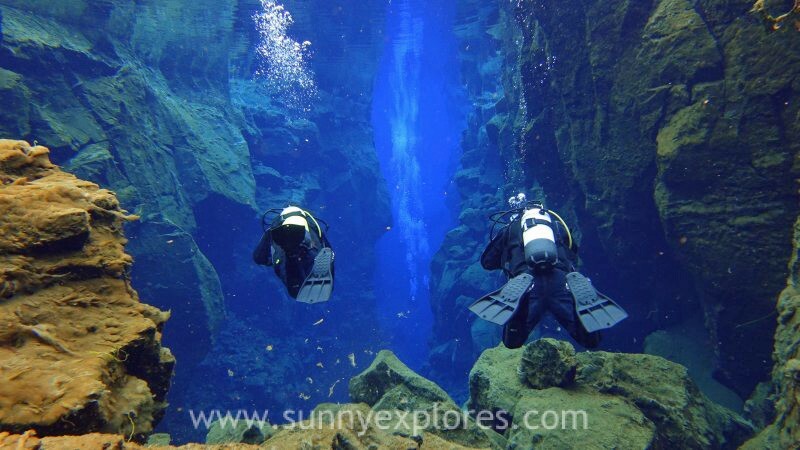 This dive is a must: the Silfra fissure is one of the most incredible dive sites you will ever see. I can’t thank dive.is and my incredible guide Ants Stern enough for this once in a lifetime experience! The photos in this blog are taken by either Ants Stern or me.